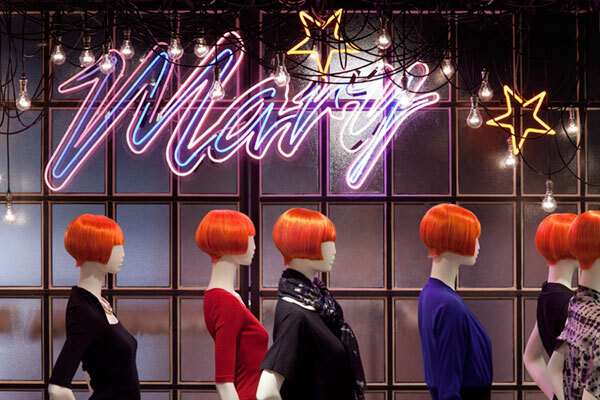 We're pleased to announce that Tatty Devine are launching at Mary Portas & House of Fraser in January. We're especially pleased to be working with Mary as she's such a champion of independent British brands and retailers. Mary has just put out her independent review into the future of our high streets. It was commissioned by the government, so her report could really help change things. Who's tired of half-empty high streets and look-a-like town centres? If you are, give Mary's report a read. Her vision is to use our high streets for more than just shopping, and to "nurture tomorrow's innovators". She says "We need to proactively develop new players and our future entrepreneurs. These are the brands and wealth creators of the future." At Tatty Devine we have a strong belief in staying independent, manufacturing in the UK in our own workshops, and making our stores very special places to visit. Mary's a real inspiration when it comes to sticking to our values, and we're really happy to be working with her. P.S. Look out for exclusive designs at the Mary Portas shop in spring!